Probably you face this error when you try to make SQL Server database backup. It has to be admitted that this error message belongs to the permissions issue on the local disk and user account which is running SQL Server. 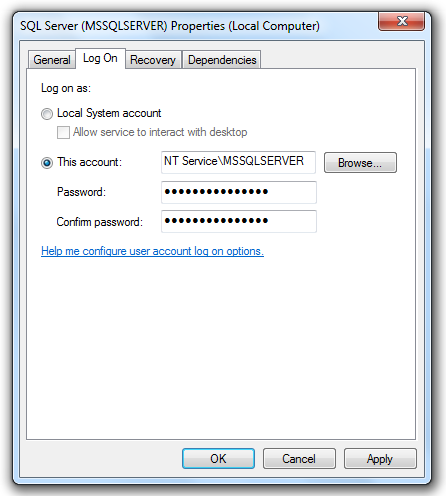 To solve this issue, first of all, you need to check which user accounts my SQL Server services are running. If it doesn’t help or all settings are set correctly check the following solution. 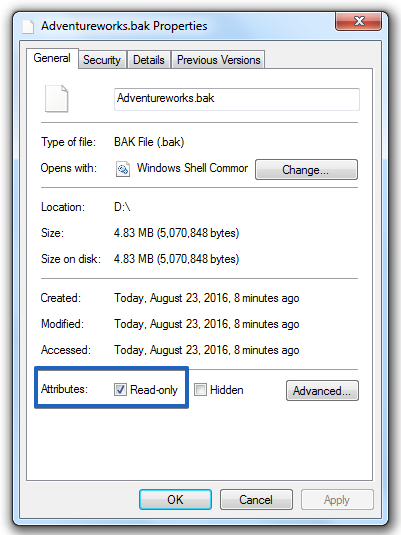 This issue also can happen if the file is read-only. To fix it open the folder where all SQL Server database backup is stored, and select the one that you need, right-click on it and select “Properties”, uncheck “Read-Only”. Press “OK” to save all new settings. 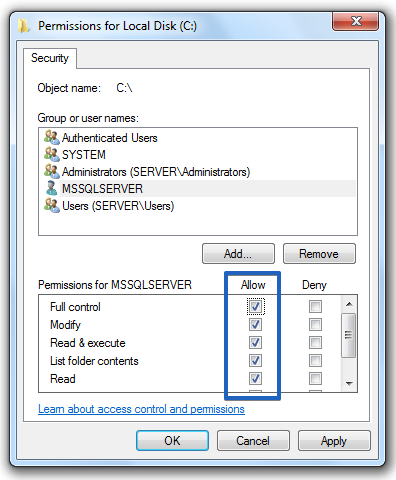 After you have made all necessary settings configuration, you will be able to make SQL Server database backup.